Posted by Trixie. October 30th 2013. If most cat owners were asked to name their ideal characteristics and attributes in a house cat, they might mention cuddliness, a soft coat, pleasant to the touch, a relaxed demeanour and an affectionate personality. 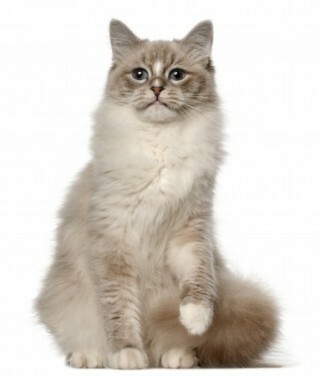 The Ragdoll cat exhibits all of those virtues and more, besides, making them ideal family pets. A fairly large animal (the male can weigh as much as 10kg), the ragdoll is infinitely striking in appearance, with piercing blue eyes, a gorgeous silky smooth coat and that ever so distinctive neck shrouded in layers of soft fur. The breed’s coat comes in a variety of colours, including a light chocolate, deeper brown, pinky-grey lilac or in some cases a slightly bluish hue. Unfortunately, the ragdoll’s most noticeable and attractive physical attribute, its coat, can require a significant amount of attention. You’ll need to take care of grooming around twice a week on average, which potential owners should be prepared for. 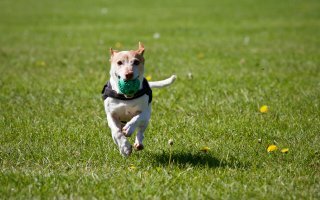 Grooming can be very difficult, and the coat will be thick all year round if the animal has been spayed or neutered as it removes the hormonal cycles, which can affect the growth of fur. If you like a particularly clean and tidy home, you may also need to spend a fair bit of time hoovering as ragdolls are known to moult heavily. Those are where the negative points end, because the ragdoll is a truly wonderful pet and the perfect addition to any family home, as well as being ideal company for the elderly. Although ragdolls do love to play and receive physical attention, making them a good cat for children, the breed possess a distinctly laid back attitude to life. They prefer a snooze in the sun or a cuddle with their owner over time spent prowling the streets or hunting birds. The animal is fun, but not overly demanding, easy-going and pleasant to have around the home. 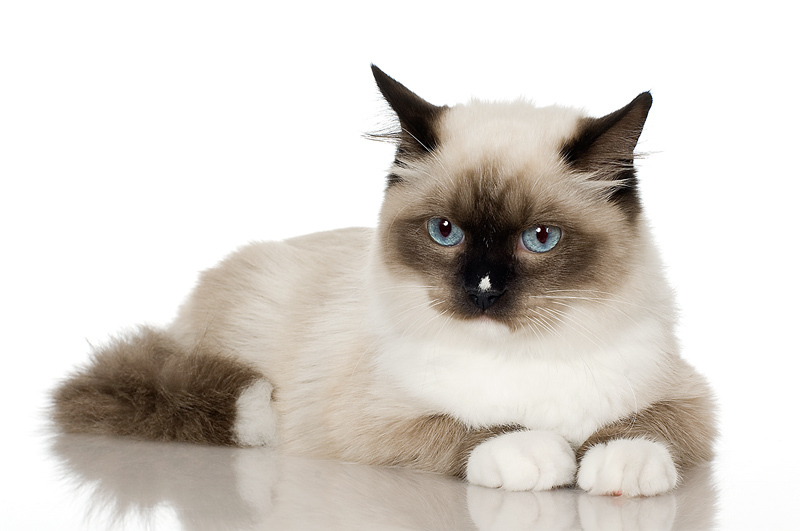 Consequently, ragdolls are at their happiest indoors making them ideal house cats. The breed can be susceptible to gingivitis (as are most other cats) but this can be tackled by giving them a rich and varied diet which contains a good amount of protein and vitamins. It is worth noting that with all specialist breeds you should consider getting a vet check before buying due to inherited diseases. Buying from a reputable breeder can also lower the risk of any health problems. Overall, ragdolls should not prove to be a particularly expensive cat to keep. Ragdolls are ideal for someone who enjoys a low maintenance yet emotionally rewarding pet. They can live for up to 15 years so it’s a decision that requires plenty of thought, however a ragdoll will soon become a part of the family that you can’t imagine living without.